Sealex joint sealant does not support bacterial growth or cause product contamination and is FDA compliant. It has virtually no shelf-life concerns since PTFE is unaffected by normal environmental conditions. Sealex has excellent resistance properties to chemical attack. It is ideal for most chemical services at temperatures to 500°F (260°C) and pressure to 2,000 psi (138 bar). It is also suitable for cryogenic use to -321°F (-196°C). The sealant is available in roll form which helps reduce storage space, and is available in a wide variety of thicknesses and lengths. 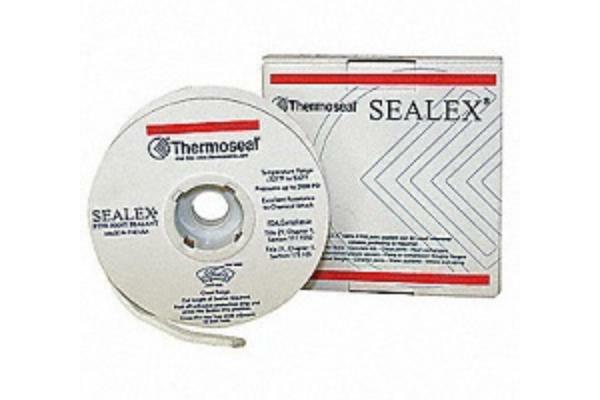 Sealex joint sealant can be used wherever reliable gasketing is required.